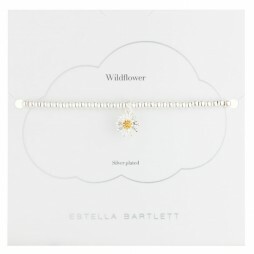 Want to show your sister how much you care? 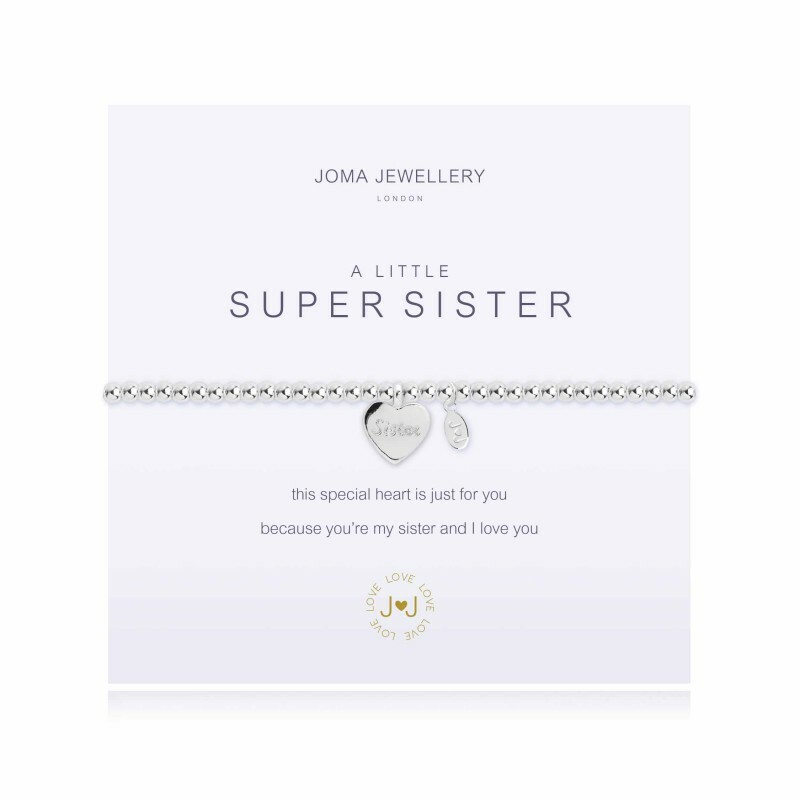 Then this sweet Joma Jewellery a little Super Sister Silver Bracelet with the words “this special heart is just for you because you’re my sister and I love you” is perfect. 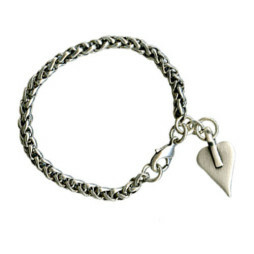 This beautiful stretchy bead bracelet in sterling silver plate features Joma’s brand new a gorgeous silver heart tag inscribed with Sister and is a great way to say I love you to that special sister. 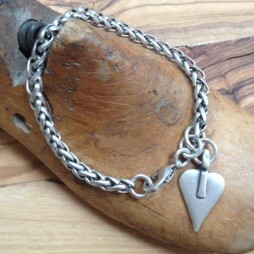 It makes a great birthday gift or even just a little something to show you care. 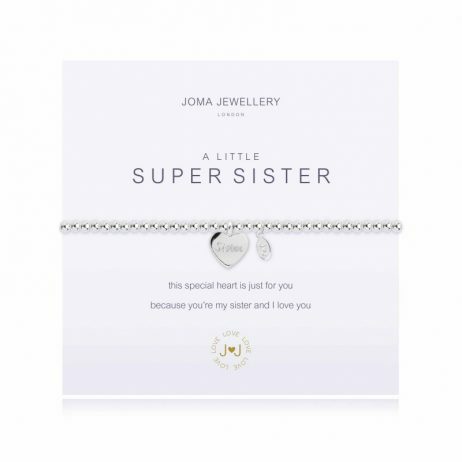 Free Delivery when you buy today and your Joma Jewellery a little Super Sister Silver Bracelet arrives to you carefully hand wrapped in our official Joma Jewellery gift packaging, finished with a silk ribbon tie and gold gift tag. 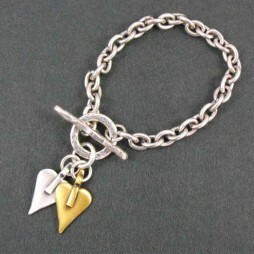 Joma Jewellery was established in 2008, with the mission of creating timeless beautiful jewellery. They still have the exact same vision now that they had then. This collection of Joma Jewellery is remarkably special and always holds valuable memories and moments that are completely unique and individual. 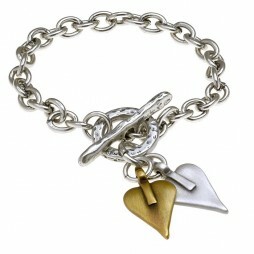 The magnetism that each piece can hold for you, drives them to produce stunning brand-new pieces every new season. 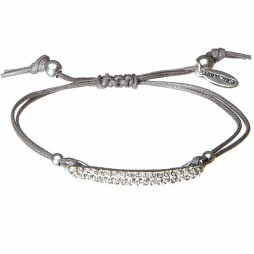 Beautiful bracelet in gorgeous packaging. My sister was really thrilled. Also, very swift service with delivery. Delighted with company and will definitely use them again – highly recommend. I can only agree with the first review. Will definitely use again. Lovely personal service. Gorgeous gift bought as surprise for my sister. She loved it. Nothing negative to say at all. The whole process was top class. 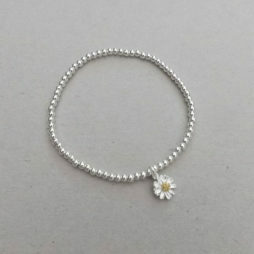 Gifts By Occasion, Joma Jewellery a little, Wedding Gifts, Gift Ideas, Gifts £0 To £20, Bead Bracelets, Bracelets, Silver Bracelets, Joma Jewellery.